When it comes to free motion quilting, being in constant motion is the general practice. In this video, learn how to master free motion quilting with corners by learning when and how to stop your hands while quilting. Heather Thomas shows you how. Before explaining how to do free motion quilting with corners, Heather explains what a quilting stitch out is. A stitch out can refer to the type of design you are quilting, whether it is small circles, other motifs or free motion quilting with corners. She explains that it is a good idea to practice several different stitch outs so that you have a fair amount of quilting options available to you the next time you sit down to quilt a quilt. She also explains that different stitch outs can be combined on a quilt, whether you do several design options throughout your quilt top or you do one design on the main quilt top and do other free motion quilting in the borders like circles and squares. Heather then shows how to do free motion quilting with corners. She explains that one of the most important aspects of being able to quilt this kind of design is being able to stop moving while quilting. 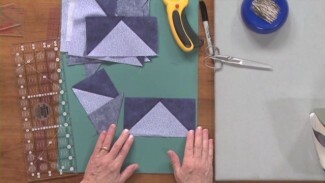 She demonstrates how and when to stop moving your quilting when you reach a corner and then how to change quilting direction- giving you a crisp corner. Heather also explains that even though you are stopping your hands from moving the quilt you are not stopping stitching. Because you are only pausing briefly at a corner and then changing direction you do not need to worry about stitches building up at the corners. 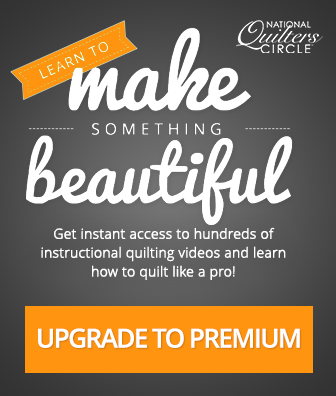 For more fun free motion tips, tricks, ideas and inspiration- try out our free motion quilting class. Heather Thomas explains the benefits of using straight pin bastes when quilting. 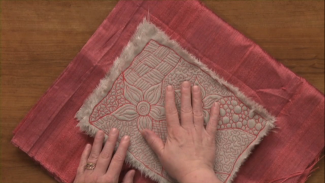 She provides helpful tips and techniques that ensure a great end result for your quilts. See the many examples provided as well as what techniques work best when using certain pins. Take these tips and pin baste your own quilts. In this video, Heather Thomas makes sure you are doodling with meaning. Learn about designs that use straight or curvy line designs and some that combine the two. She shows you free motion loops, swirls, circles, clam shell, geography/thumbprint, strait edge spiral, squares, making tracks, and a basket weave. Dana Jones shows you several methods to incorporate flying geese into your quilt along with the reason for adding them. Learn how to make your own flying geese individually or use a system to make multiple at once.